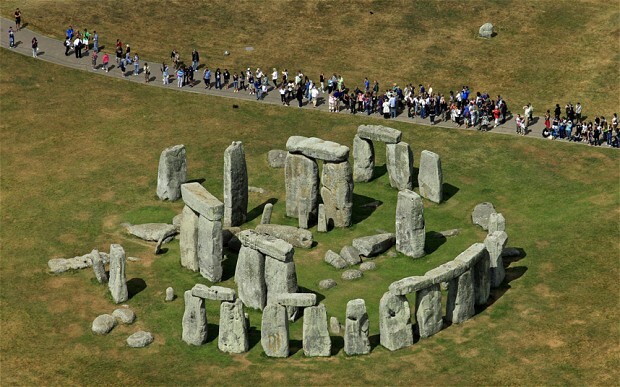 Stonehenge may have been occupied five thousand years earlier than previously thought, archaeologists claim. Excavation of a site just a mile from the stone structure provided what researchers claim is the first firm evidence of continuous occupation from as early as 7,500BC. Earlier evidence had suggested that humans were present at the site, known as Vespasian’s Camp, around 7,500BC but there were no signs anyone had lived there until as late as 2,500BC. By carbon-dating materials found at the site, the archaeologists identified a semi-permanent settlement which was occupied from 7,500 to 4,700BC, with evidence that people were present during every millennium in between. The people occupying the site would likely have been responsible for erecting the first monument at Stonehenge, the Mesolithic posts, between the 9th and 7th millennia BC. Instead of being seen as a site which was abandoned by Mesolithic humans and occupied by Neolithic men thousands of years later, Stonehenge should be recognised as a place where one culture merged with the other, researchers said. Dr David Jacques of the Open University, who led the study, said he identified the settlement after deciding to search for evidence around a spring on the site, which he reasoned could have attracted animals. Dr Josh Pollard of the Stonehenge Riverside Project added: “The team have found the community who put the first monument up at Stonehenge. The findings will be broadcast in an episode of The Flying Archaeologist on BBC One on Friday evening.